Perioperative oral care is effective for the prevention and reduction of complications following surgery. However, oral cancer patients’ oral health is often poor. 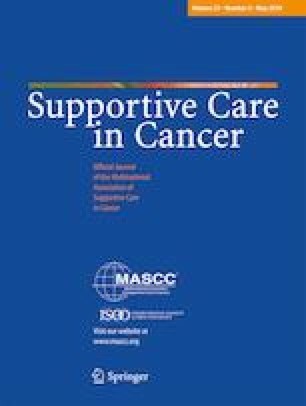 During hospitalization, oral cancer patients frequently receive oral care from ward nurses as well as professional oral care from dental hygienists. Maintenance of good oral hygiene in these patients ideally requires cooperation between nurses and dental hygienists. Consequently, communication tools used to share information about the status of patients’ oral health are needed. One such tool is the Oral Assessment Guide (OAG). However, the inter-rater reliability of the OAG has not been consistently reported; therefore, we examined this between nurses and dental hygienists. Participants comprised 76 patients hospitalized for oral cancer treatment. After surgery, a nurse and a dental hygienist performed oral assessments using the OAG. Comparative statistical analyses were conducted to examine differences and consistencies in the scores of nurses and dental hygienists. Although almost all patients’ oral health status was poor, none were given the worst score in the mucous membrane or gingiva categories. Further, the tongue, saliva, mucous membrane, gingiva, and teeth/denture categories had low κ coefficients, indicating poor nurse–dental hygienist inter-rater reliability. In contrast, the κ coefficients and agreement rates for voice and swallowing were high. Dental hygienists’ scores were significantly higher for the tongue, gingiva, and teeth/denture categories than were nurses’ scores. This study showed low nurse–dental hygienist inter-rater reliability for the OAG and highlighted the difficulties in objectively assessing patients’ symptoms and oral health conditions. Therefore, rather than only relying on an objective assessment of symptoms by a clinician, assessments should also include patients’ subjective reporting of symptoms. OAG will likely be used until a new assessment tool is developed. Objective assessment training and/or user manual development may be required to improve the reliability of OAG. The present training of one lesson a year is insufficient, and efforts should be made to improve this to get more reliable outcomes.